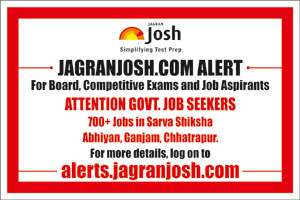 The District Project Office of Sarva Shiksha Abhiyan, Ganjam, Chhatrapur invited applications for 746 posts of Physical Education Instructor and Art Education Instructor. The eligible candidates can apply to the post through the prescribed format latest by 14 November 2015. Physical Education Instructor: In addition to candidates having +2 and CPED qualification, persons having higher qualification in Physical Education i,e. B.P.Ed or M,P.Ed may be eligible for the posts. Selection shall be made taking into account the percentage of marks of +2 examination and percentage of marks obtained in professional qualification. Art Education Instructor: BFA & BVA for the pass out students belonging to visual Art and B.Mus pass out students belonging to performing Art. The BFA & BVA Art Degree from B.K. College of Art and Crafts, BBSR, Govt. College of Art & Crafts, Khallikote and Pvt. Colleges of State recognized by the state universities may be considered as one of the eligibility criteria for engagement of Art lnstructors (Visual Art). B.Mus. degree from the Utkal Sangeet Mahavidyalaya and other Govt. & Pvt. Colleges of the State recognized by the State Universities may be considered for engagement of Art lnstructors (Performing Art). The pass out students of V.D. Govt. College of Art & Crafts, Jeypore, +2 Pass out students of Utkal Sangeet Mahavidyalaya, BBSR, B.K. College of Art & Craft, BBSR, Govt. College of Art & Crafts, Khallikote may be considered as Art lnstructors. Eligible candidates can apply to the post by downloading the application form from district website at www.ganjam.nic.in. Send the applications along with other necessary documents to District Project Coordinator, Sarva Sikshya Abhiyan, Ganjam, At/Po: Chatrapur, Dist: GAnjam, PIN: 761020 on or before 14 November 2015. Details in this regard can be found from the official website.